Oh…my aching back. Ok, I’ll stop complaining. A few weeks ago, Kate came to me and said that she didn’t like her room any more. I asked why, and she said that it just didn’t feel like her. She was sick of all of the hot pink, and wanted her room to be “cottagy” like the rest of the house. 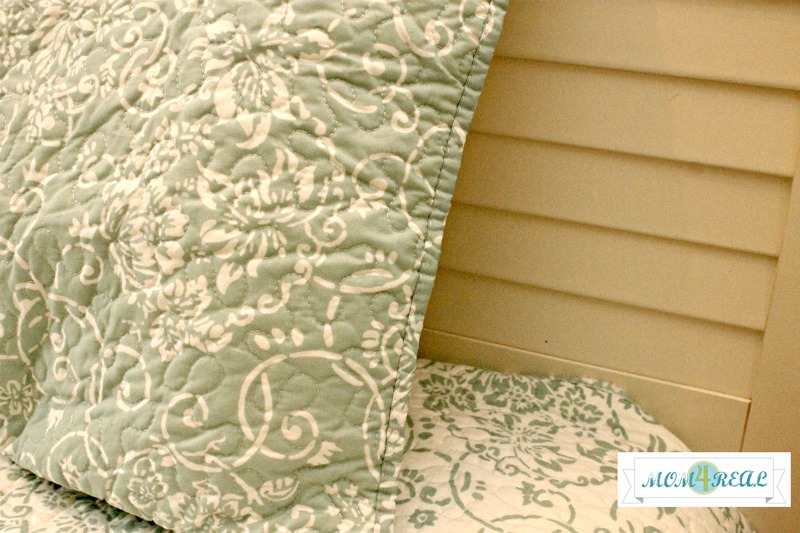 Kate wanted a cottage bedroom with aqua touches. I was elated! As a blogger, nothing is better than the prospect of redesigning an entire room…fun, fun! In true me style, I have figured out multiple ways to do it on the cheap. I am going to give you a few little sneak peeks…because I love sneak peeks, and because there is still much to be done before the reveal next week. We have pulled out yet another old window for a fun photo project, and hung a little bling over her bed. An old dresser I found on the side of the road has gotten a face lift and a pretty new lamp has been added. Kate picked out some new bedding at Marshall’s this weekend…it even had the description “Cottage” on the packaging, so she had to have it. 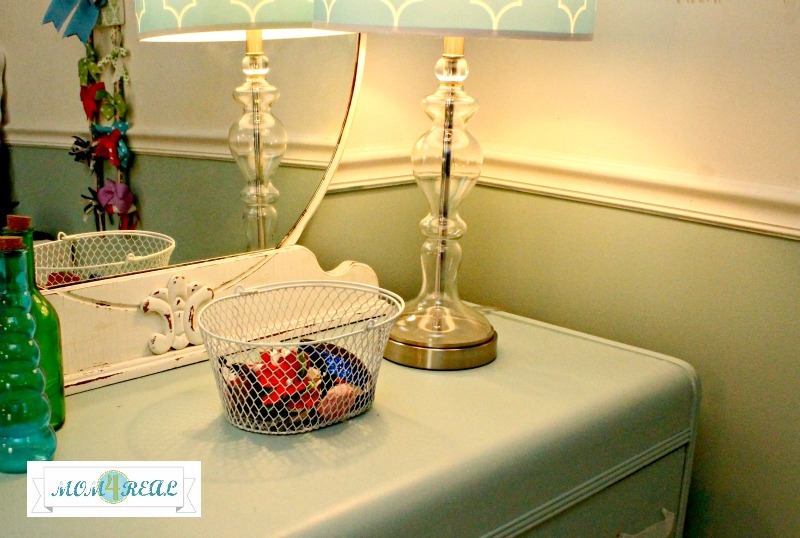 The vanity that I found on the side of the road got a new paint job using Maison Blanche chalk paint that my friend Shannon @ Fox Hollow Cottage sells. 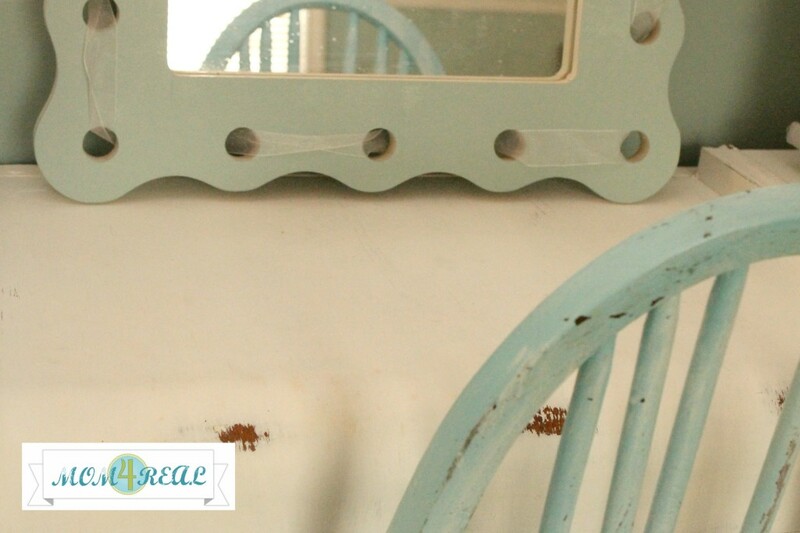 The dresser came with a gorgeous mirror, but it got broken during it’s short stint in the garage. So, until I get a new mirror cut, Kate is using another one we had. 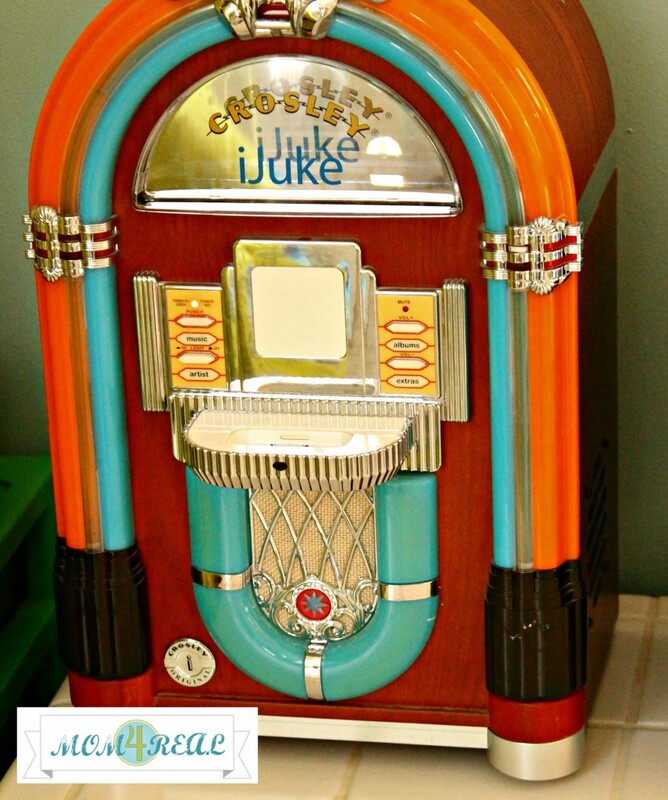 And cottage charm may reign over the rest of the room, but concerts and karaoke will be happening, so Kate’s brother Cam donated his iJuke, since his Mimi gave him a pimped out stereo system for his room. So…what do you think? I can’t wait to show it to you all finished up next week! After that, I’m moving to Cam’s room…whether he likes it or not :) Can you say man cave? Love!! It’s going to be fabulous! And I spy some crystal?? I cannot wait to see the full reveal, loving everything so far!! Love the sneak peek. That bedding find was a score! Its beautiful. Look forward to the final reveal. You tease-y little teaser :))) Everything is looking sweet. Love me some cottage style!! I bet your sweet girl is LOVING it! Look forward to seeing more. 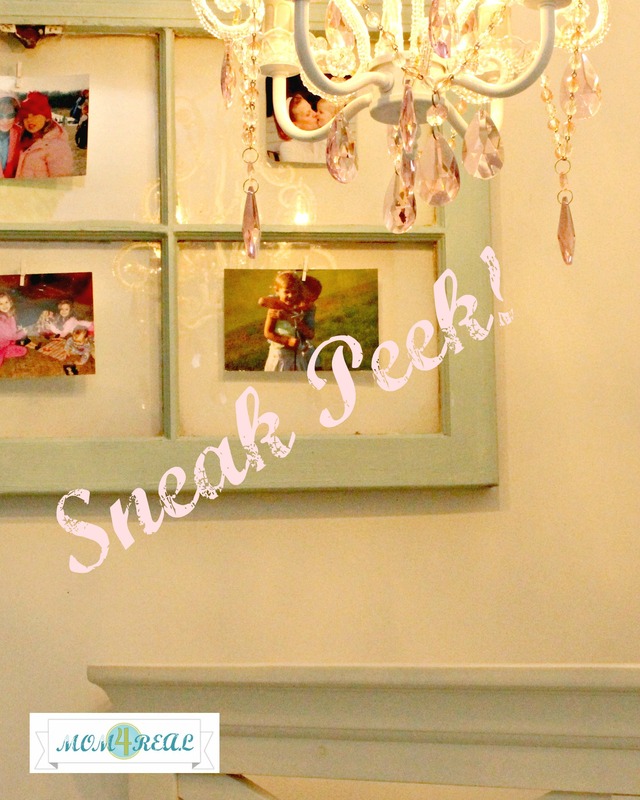 Those peeks are so pretty and girly and I CANNOT wait to see the full room reveal! Love the old window! I can’t wait to see the rest…knowing your talents I am sure it is fabulous! Oh the sneak peek looks great…I am already loving that room! !…and how fantastic that your daughter wants her room to be like the rest of the house…that means she really loves her mom’s beautiful style!….Looking forward to the grand reveal! Oh Kate must be so excited to have her new cute cottage feel. I can’t wait to see it! You big tease! hahaha I can tell that the room is going to be adorable. Can’t wait to see the whole thing! I can tell by the sneak peek that it is going to be beautiful! I love the colors and things I am seeing!!! It is looking super fabulous!!! I can’t wait to hear more about the dresser you found! Gorgeous stuff! I know that I’m going to love it! The sneak peek is fabulous. I can’t wait to see more. O.K., I can’t wait to see a full pic of the dresser. I have one of these still with the “original” worn out, cracked wood laminate top. I am ready to give it new life, so thank you for inspiring. I WANT MORE!!!!!!! If I scream louder? Please!!!?!! Beautiful sneak peek, Jessica! Love what I’m seeing and can’t wait to see more! Looks awesome…cant wait to see what you’ve done in both rooms! Don’t cha just love road side trash!!! Ahhh to be a young girl again. How pretty!